Have you heard about President Danny's wish? With only 76 days to go in the 2010-2011 administrative year, he wants to take one of those days to visit your Optimist Club. 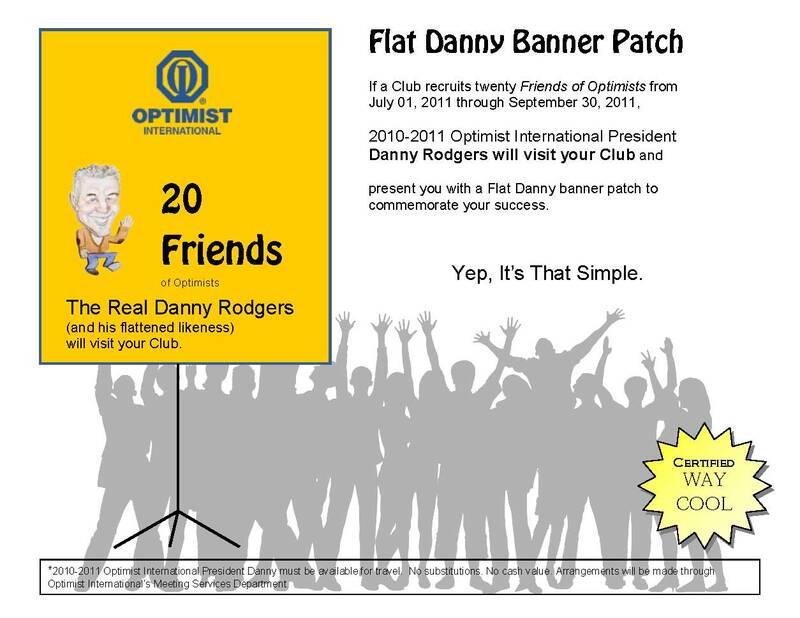 You read that right...Optimist International President Danny Rodgers wants to be local with your peeps. Yes, there is a bit of a catch; but it's a good one, good for your club and good for Optimist International. After all, we're in this thing we call community service together, right? 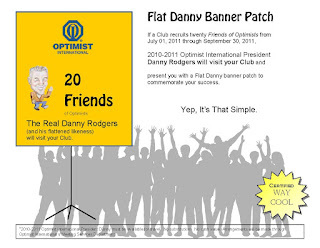 To claim your visit, simply add 20 Friends of Optimists to your Optimist Club between July 1 - September 30. What could be easier? Download the Friend of Optimist brochure and ask your dentist, your dry cleaner, maybe your veterinarian to become a Friend of your Optimist Club today. Danny can't wait to say thank you in person. Now that is way cool!